Welcome presenters! Please click the tab above that matches your presentation type. If you are scheduled to present two posters during the same 1-hour period, please plan to spend 30 minutes at each poster. While we strive to minimize overlap of presentations, some are unavoidable and cannot be rescheduled. This is RECOMMENDED for Digital Posters and Power Pitches, but not required. Twelve (12) minutes are allotted for your oral presentation (except for those in Combined Educational & Scientific Sessions, which can be different lengths. Refer to the email notification of your program number (coming soon) for your talk’s length), to include a nine-minute talk plus three minutes for discussion afterwards. The time limit will be strictly enforced, so plan accordingly. To present your paper effectively in this limited time, do not attempt to cover too much material. Discuss only the major points of your work, especially the conclusions drawn from your data. Do not include commonly known background information. The declaration of financial interests or relationships should be your first or second slide, and it should show the same “declaration” information you provided when you submitted the abstract. Please see the declaration slide page to download the template slides. This is MANDATORY, even if you have nothing relevant to declare. Practice your presentation until you can present it clearly in nine minutes. If you use more than your allotted time, the Chair of the session will terminate the presentation. A useful rule for slides is to use no more than one (1) for each minute of your presentation. For suggestions on preparing slide presentations and technical requirements, please click the COMPUTER DISPLAY INSTRUCTIONS tab above. Speaker Ready Room: The location and operating hours of the Speaker Ready Room are noted in the blue column to the right. All speakers are required to check in at the Speaker Ready Room no later than the day before their presentation. To Upload On-Site: If you upload at the meeting you must bring your file to the Speaker Ready Room the day before the presentation. 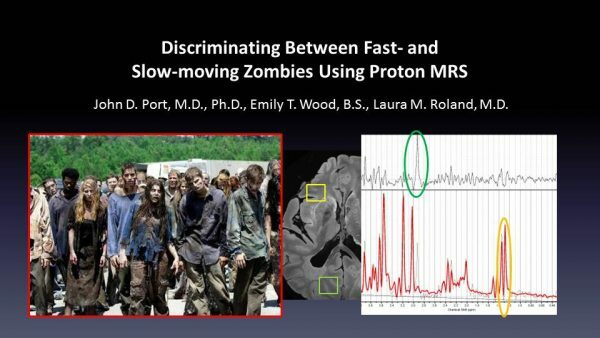 All presentations will be coordinated, saved on the ISMRM network, and transmitted to the room of your presentation from the Speaker Ready Room. You may not bring any presentations to the session rooms. Please arrive at your session room at least 15 minutes before the session begins, introduce yourself to the chairs of the session, and familiarize yourself with the audiovisual controls. All speakers are required to check into the Speaker Ready Room to test their presentation prior to their session. Speakers will have a quicker check-in process by uploading their presentation via the meeting website. NOTE: Pre-submission does not excuse a speaker from checking into the speaker ready room. Presentations submitted on-line will be immediately available on a workstation for review. Bring your on-line username and password. This will be different from your ISMRM member credentials. Prior to the session, please make sure all fonts display as expected (use the EMBED FONTS feature in PC PowerPoint) and all sound/video clips play properly. There is no Internet access available on the meeting room computers. Everything must function with a mouse. There will not be keyboards in the meeting rooms. Software cannot be installed on machines provided by ISMRM. All hyperlinks (usually blue and underlined with a link to a website, e-mail address or document) should be removed. There are no video ports or other connections at the podium for a speaker’s laptop. All editing must be completed 2 hours prior to the start of your session. Only one PowerPoint file may be submitted for each assigned speaking time. All screens in the meeting rooms will be 16:9 format [rectangular]. To take advantage of this, speakers must change the PAGE FORMAT to 16:9 or WIDESCREEN prior to creating their presentation. 4:3 [square] presentations will be compatible, but there will be black bars on both left and right of the displayed image. On-site computer & software details are in the Quick Details column to the right. IMPORTANT NOTE: If your PowerPoint presentation contains video files, it is very important that they are tested in the Speaker Ready Room as early as possible. If your video file fails to display properly, it may take hours to fix in some cases. Windows users with Office 365 or PowerPoint 2016 can avoid this by using the Optimize Compatibility function (File -> Info) before saving your presentation. If the video cannot be optimized, there is a chance it will not play when presented at the meeting. The PowerPoint file must have the .PPT or .PPTX suffix to be accepted. Keynote files must be in a ZIP file to be submitted online. A ZIP file is not necessary to submit in the Speaker Ready Room. All oral presenters should upload their presentation via the meeting website, which will open on 19 April and close 01 May 2019, 11:59 EDT. No online submissions will be accepted after this date. The link is in the blue “Quick Details” column on this page. * Please DO NOT EMAIL presentations! Presentations that are e-mailed will not be accepted. The “Power Pitch” format will give maximum exposure to the most interesting abstracts at the annual meeting. It is designed to address the common complaint that, often, the most interesting abstracts presented in traditional oral sessions have less than 3 minutes for discussion. This format has two components: an oral presentation and an e-poster presentation. The oral presentations are in “rapid fire” format and the abstracts (15 in total) will be presented back-to-back, with no questions. You should create a 2 minute presentation that captures the essence and salient points of your work, highlighting key innovations/results/outcomes. Think about presenting “the big picture;” finer details can be reserved for the poster presentation. Given the number of abstracts and the nature of this session, it is essential that you stay within the allotted time and should therefore aim for no more than a 2 minute presentation. The moderators will announce the title of your presentation, the presenter’s name and primary affiliation during the “change over” of speakers. The session moderators will be briefed to be extremely strict about the timing. You will have a total of 2 minutes. When 30 seconds remain, the timer light will turn yellow. At the end of two minutes a clear “stop” notification will be given. You should practice the talk to ensure that you don’t run over. You will be making two presentations. The first is your 2 minute rapid fire presentation (during the first hour of the session). The second is your full hour electronic presentation (during the second hour of the session). Both items will be in ONE PowerPoint presentation: the first few slides will be your rapid fire presentation, followed by your one hour electronic poster PowerPoint presentation. In the second hour of the session, you are asked to present an e-poster presentation of your work, allowing more detail to be included and allowing maximum interaction/discussion. For this purpose, 15 large (42 inch/106.6 centimeter) plasma screens will be distributed throughout the traditional poster hall. The presentation will be converted to e-poster format for viewing on-line at the end of the conference. PLEASE NOTE: The content of your rapid-fire oral presentation does not need to be identical to your e-poster presentation. It should focus just on the key points. An electronic poster (E-Poster) is a poster in PowerPoint format, allowing the inclusion of movies, and other multi-media formats, and presenters are encouraged to take advantage of the versatility of this medium. The Power Poster e-posters will be presented at numbered plasma screens in the Exhibition Hall. The time allotted for Power Poster e-poster presentations is 60 minutes, and authors are requested to be at their assigned plasma screen for the period of time specified in the acceptance message. During this time you will be available for discussion of your e-poster. A formal presentation is not necessary. You will be informed of your program number as well as your plasma screen assignment before the meeting. However, when you arrive at the meeting, check the program to confirm the day, time and monitor for your presentation, in case there have been last minute changes. All submissions must be in Microsoft PowerPoint format. Only one PowerPoint file may be submitted per electronic poster. Be sure to use the EMBED FONTS feature in PowerPoint to make sure your text displays as intended. The location and operating hours of the Speaker Ready Room are noted in the blue column to the right. Presentations that are submitted on-site in the speaker ready room may not be available for viewing immediately. Any changes made during the conference may take up to 24 hours to update in poster area. Please review your submission thoroughly before submission. The plasma monitors displaying the presentations will be widescreen 16:9 [rectangle] format. All animations and video files must be set to play automatically. Slides will be advanced by mouse click. Presentations will be produced for the web after the conference. Each slide will last approximately 7 seconds. Avoid using small images and text if possible. Check your presentation for hyperlinks (links to the Internet, e-mail addresses, or other documents) and remove them. There are no computer speakers, so please do not include audio in your presentation. PC users should use the EMBED FONTS feature in PowerPoint to make sure your text displays as intended. The PowerPoint file must have the .ppt or .pptx suffix to be accepted. All power pitch presenters should upload their presentation via the meeting website, which will open on 19 April and close 01 May 2019, 11:59 EDT. No online submissions will be accepted after this date. First authors will be sent an email with instructions on or around the date the upload site opens. If you do not receive this email, please email us: ismrm@ets-av.com. All Digital Poster submissions must include a single “teaser” slide in .jpg format. It will appear on the D-Poster screens between poster sessions as part of a looping slide show, allowing viewers to click on any slide to view the corresponding D-Poster. Example teaser slide. Get the .pptx file. The Teaser slide should only include the title, authors, and a few visually interesting pictures to intrigue the viewer. After creating your single slide, please export it as a .jpg file for submission. Jpg is the only acceptable format for the teaser slide. Read Program Chair John Port’s blog post for tips & tricks to making an effective digital poster. A digital poster (D-Poster) is a poster in PowerPoint format, allowing the inclusion of movies, and other multi-media formats, and presenters are encouraged to take advantage of the versatility of this medium. All multimedia D-Posters will be presented at numbered monitors in the Exhibition Hall. The time allotted for D-poster presentations is 60 minutes, and authors are requested to be at their assigned computers for the period of time specified in the acceptance message. During this time you will be available for discussion of your D-Poster. You will be informed of your program number as well as your computer assignment before the meeting. However, when you arrive at the meeting, check the program to confirm the day, time and monitor for your presentation, in case there have been last minute changes. Although it is preferred that the first author present their work, a co-author or institutional colleague may make the presentation if the first author is unavailable. We do not require notification of this. The location and operating hours of the Speaker Ready Room are noted in the blue column to the right. Presentations that are submitted on-site in the speaker ready room may not be available for viewing in the poster hall immediately. Please review your submission thoroughly before submission. D-Posters can be identical to our E-Poster format from previous years. Click here to view an example E-Poster from 2017. The monitors displaying the presentations will be widescreen 16:9 [rectangle] format. Presentations will be produced for the web after the conference. Each slide will display approximately 7 seconds. All digital poster presenters may upload their presentation via the meeting website, which will open on or about 19 April 2019 and close 01 May 2019, 11:59 EDT. No online submissions will be accepted after this date, however, you may upload your poster in the speaker ready room in Montreal. Please be aware that we recommend you upload your poster in advance, as we expect the speaker ready room to be very crowded. First authors will be sent an email with instructions on or around the date the upload site opens. If you do not receive this email, please email us: ismrm@ets-av.com. The following are suggested guidelines for those who are new to presenting digital posters, or anyone else looking for basic ideas to start a new presentation. If you attended last year’s meeting in Paris, you may review the E-Poster videos that are available to attendees for ideas which may be helpful in designing your presentation. There should be a running title at the top of all slides. This allows people to walk up in the middle of a presentation and understand immediately which poster is being presented. This should include both program number and title. Separate the running title and program number visually. For example, if the text and number are placed within a box of a slightly different color, they would be separated visually. Each slide title should be placed in a title placeholder. This allows that title to come across in the hyperlinks on the left bar. Consider putting something catchy into the title slide. Examples are a key result, a key picture, or a sentence describing the major result of the poster. The first slide should show the full title of your submission. The poster should be self-explanatory. Text should be brief and well organized. Each slide should illustrate a single point or idea. Do not crowd the slide. Message slides should contain no more than 7 lines, with 7 or fewer words per line. Keep the data on slides simple. If you have a great deal of data, divide it among several slides. The content of a single slide should be easily comprehended in 20 seconds. Remember: seven lines per slide and seven words per line! Use large, legible letters. Be sure to use the EMBED FONTS feature in PowerPoint to make sure your text displays as intended. If your data slides are in color, use only light colors, such as white and yellow, on a dark background, such as dark blue. Do not use colors such as red or purple. Keep slides of radiographs light. Dense or dark slides project poorly in large rooms. Enlarging the significant areas and using arrows to point out the specific area or lesion often helps. Patient confidentiality must be protected, and the patient’s a right to privacy should not be infringed without express informed consent. This includes removing identifying text in images, providing graphical overlays onto photographs, etc. No names should appear on the images. Avoid commercial reference unless mandatory. A logo or institutional identification should appear only on the first title slide. Do not use such identification as a header on each slide. Limit the number of slides to no more than one (1) for each minute of your presentation. The slides should not contain your entire presentation. Their purpose is to support your talk and to emphasize the important points. For Digital Posters, set your slide show to loop continuously. Under SETUP SLIDE SHOW, choose LOOP CONTINUOUSLY. Title of text slides should contain five or fewer words. Spaces between lines should be at least the height of an upper case letter. Use graphs rather than tables if possible. Keep tabular slides as brief as possible. Two or more simple slides are better than one complicated slide. Make the font as large as possible. Limit the number of captions. Use line graphs to show trends or changing relationships. Use bar graphs to compare volumes. Simplify charts to keep them legible. Break up complex charts into a series of slides. No online submissions will be accepted after the closing date. Why can’t I use Apple Keynote, Adobe Acrobat (.pdf), or Adobe Flash (.FLA) for the digital poster area? The software used to convert digital & electronic posters into web-friendly files does not support Keynote, Acrobat, or Flash native files. Why not just use Macintosh computers in the digital poster area? The web browser on the Macintosh computer does not support embedded PowerPoint files. To make this function work would entail extensive software development. This feature is built-in to the Windows operating system and Internet Explorer.